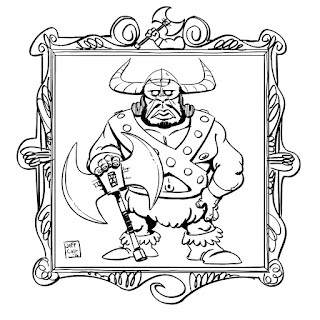 Prismatic Peak goes further than most Hydra’s offerings, with an authorial voice that is ‘gonzo’ to a degree that I haven’t seen much lately in the ‘OSR’. The ‘Lands of Azuth’ don’t seem to take themselves seriously, and the content reminds me a good bit of Anomalous Subsurface Environment in that it’s clearly a Saturday morning cartoon sort of setting (though Azuth is more Tex Avery or Looney-Toons to ASE’s He-Man and Thundarr). There’s something humorous and childlike about Prismatic Peak, with a sort of late 50’s/mid 60’s approach - a lot of winking references to the adults that might be watching/playing among something that is basically light-hearted and childlike. I should emphasize that this is the feel of Prismatic Peak - the locations themselves create a potentially teetering social/faction puzzle with the titular villain trying to politely trick the players into allowing their characters to be eaten as they attempt to steal from him. 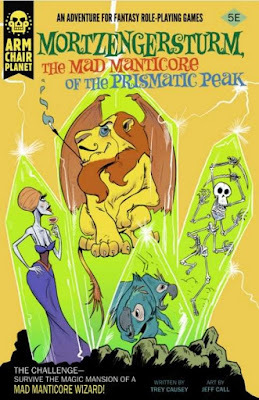 Prismatic Peak is at its core a zany heist scenario in a mad wizard’s lair filled with chimeric experiments. ‘Gonzo’ was a setting element that was regularly praised a few years ago as a popular playstyle for ‘old school’ or high lethality games. From what I can tell it’s the opposite (but perhaps not the inverse) of ‘grimdark’. Currently Dungeon Crawl Classics is often regarded as ‘Gonzo’, and for me the ultimate gonzo setting is Anomalous Subsurface Environment. That is to say that while the characters in a gonzo game might die terribly just as often as they will in a ‘deathcrawl’ and are faced with a series of equally bad choices just as they would be in a ‘nega-dungeon’ gonzo games present this under a humorous gloss. To use old examples, in ASE a swarm of miniature ‘Sleestacks’ will tear your heroes to pieces rather than the armies of unshriven cannibal child zombies one might find in Death Frost Doom. Prismatic Peak is on this same continuum - the main foe is spell caster manticore wizard who looks an awful lot like a combination of Scar from the Lion King and the 1950’s English character actor Terry Thomas (or possibly Vincent Price). Despite his inherent bombastic silliness Montezengerstrum is still a 69 HP, mid AC, multi attacking melee combatant who can cast cloudkill and lightning bolt. One of the things that’s interesting to me about Prismatic Peak is the particular variety of gonzo it brings. While one could theoretically drop the Peak into Anomalous Subsurface Environment’s Land of 1,000 Towers, it’s still not quite the same kind of deadly/funny. Azuth (or at least Prismatic Peak) have a zany fantasy feel, and even while there are robots or automatons in the world, it’s not science fantasy, or at least not 80’s Saturday morning science fantasy. Azuth seems to draw influence and visual cues from looney-toons (Montzengerstrum’s collection of bizarre crossbred creatures fell very much like something Marvin the Martin would covet) the overall feel of the setting also has a strong Wizard of Oz or even Fairytale influence. Whimsical and strange things like the snail elevator that will bring the party to the Manticore's lair and the goblin vat that produces blue downtrodden goblin servants through some kind of mad science, industrial process might just be metaphors for an obscure bit of interwar Mid-Western politics. It’s a daring departure from grimdark dungeons dripping with slime or even from the high fantasy of most WOTC products, especially for something written for Fifth Edition, where a humorous adventure like Prismatic Peak might be doomed by the vast reserve of newer and less adventurous players who really want to play something like Lost Mines of Phandelver without chatty monsters, funny traps and absurd situations. Perhaps however, because there are so few decent third party fifth edition adventures available, Prismatic Peak can find an audience and bring more players into the DIY side of the hobby. Certainly it provides the tools (colorful pre-gens and a single session/tournament style quest) to play as a one shot. At its heart Prismatic Peak is a location based adventure about infiltrating the lair of a monstrous Manticore wizard who will eventually attempt to poison and eat the players. The first encounter in the adventure can easily be with the manticore villain, set up on his home turf and using it to his advantage. In this, for all its glossy good cheer, Prismatic Peak is a socially driven lair adventure which is potentially very deadly to characters. Like all Hydra products Prismatic Peak was extensively playtested, so presumably the Manticore encounter isn’t always deadly, and one can see some interesting escape opportunities (the 1989 Chicago World’s Fair) and complications provided in the room description. Prismatic Peak's Content. Also there are plenty of Pregens. Where Prismatic Peak succeeds best is in its aesthetic - the entire adventure has a properly Loony Toons through a bizarre lens feel about it that the prose, art and situations described within emphasize. In my last review I grumbled about some silliness in an otherwise very serious project, and while Prismatic Peak and Veins of the Earth are on entirely different scales (consistency being harder to maintain the longer the adventure), Prismatic Peak admirably maintains its consistency. The flow of the adventure is a bit strange, it’s a location based adventure, but perhaps has a scene based sensibility - the players will be invited into the wizard lair they are supposed to be raiding and likely shown around by the bombastic, mutated wizard/manticore. This is fun, but I wonder if enough tools are in place for a party that decides to go full on Rambo and just assault the place with grease painted faces and stealth? This all out assualt option isn’t really supported - the crystal castle of the Mad Manticore has no mapped entrances except its doors - though a close reading of the text reveals an opening in the roof about the ‘Hippogryphary’. I don’t want to make too much of this, because it’s perfectly reasonable that a paranoid self-obsessed wizard would build himself a lair with one reasonable entrance, but I would have preferred that Prismatic Peak at least addressed issues like ‘How hard is it to climb the sides of the manticore palace?’ and ‘How sturdy are the front doors? Can I bust them down? Are the Hippogyph guards susceptible to bribes and/or a Mickey Finn? (The answer to this last query is ‘almost always just for the sake of reintroducing the Mickey Finn to the popular lexicon’). The adventure proceeds from the Manticore’s doors under the assumption that the players will be invited in, and indeed most of the hooks support this more friendly initial approach to the Manticore. There’s something nice about pushing a social encounter in a location based adventure, even with an evil creature that plans to do in the party. Personally if I were running Prismatic Peak as part of a campaign I’d use the hook “Entourage” in which the party is hired as guides/bodyguards, though I might use a celebrity of some kind rather than gem hunters/scientists as the person being guarded. What is does that’s sort of strange is potentially creates an adventure played backwards. The party is likely to have a narrated lead up to the Manticore’s chamber and then a big fight. After that it’s either escape from the Manitcore’s pit larder (most likely), explore the 1989 world’s fair (beyond the scope of the adventure), or ransack the place now that it’s master is dead. None of these are bad options, but it would have been nice if a bit more attention had been paid to the idea of infiltration or stealth. The area descriptions have a jocular breezy quality, with Montezengerstrum’s commentary added for color and a sidebar showing important items, creature stats, the odd random table and similar things. These sidebars aren’t always full but they are a useful addition to battery of adventure organization techniques and provide organization to what might otherwise be somewhat unstructured description. Content itself is interesting, there aren’t a large number of keyed areas (thirteen in all), but all have something interesting in them - one of the better being a goblin factory where depressed subservient blue goblins are grown through some kind of industrial alchemical process. Most encounters have some kind of NPC to speak to and interact with in a way that discourages combat. Again this strikes me as the work of a scene based author, producing location based content, where rooms feel somewhat like individual vignettes - though the author has made effort to put everything into context of a larger adventure structure, and the rooms are arranged with enough coherence to meet the expectation of a Gygaxian ecology at least. Prismatic Peak is a fun seeming adventure that has a few rough spots that it’s coherent tone, look and charm easily overcome. It tries to do a difficult piece of plotting and structuring by encouraging a character ‘tour’ of the location prior to its exploration and seems likely to play as an escape or heist. It pushes this adventure structure rather lightly, and generally seems content to put a large number of useful pieces and NPC in front of the players, trusting that the nature of tabletop play will cause the players to create a sufficiently interesting set of shenanigans with these parts. What’s most intriguing to me is that Prismatic Peak provides the sort of ‘gonzo’ setting and details that I haven’t encountered in awhile from OSR products, and does so for a game (5E) that I consider to have a far more traditionally minded player base than most. With a lack of decent 5E adventures, especially small ones produced by 3rd parties, I hope that Prismatic Peak gets a good amount of play and that it is, as it promises, a precursor to a larger book or books of Azuth setting and adventures. A relatively light-hearted, Wizard of Oz and Looney Toons inflected, somewhat whimsical ‘gonzo’ setting built with 5E mechanics could be a very good thing for that game, and I would love to see more of the setting. Even if Hydra and Trey fail to produce additional Azuth content Prismatic Peak remains worthy of a read, and might find serviceable use as tournament style adventure or one short that departs pleasantly from the setting expectations baked into Fifth Edition D&D. I know nothing about this product other than what you wrote, but I think I can definitively state that is the single most enjoyable product cover that I may have ever seen. I would marry that font if my state's laws permitted it. The sensibility is similar, and the inside art is also there - Tex Avery + Wizard of Oz with a focus on interactions with strange characters. I should also mention there are silly but classic magic items - an imp bottle (with loony toons style devil inside) that will give advice for freedom but be grudging and impish if forced to servitude, and a wizards hat that is malignant and eats heads. 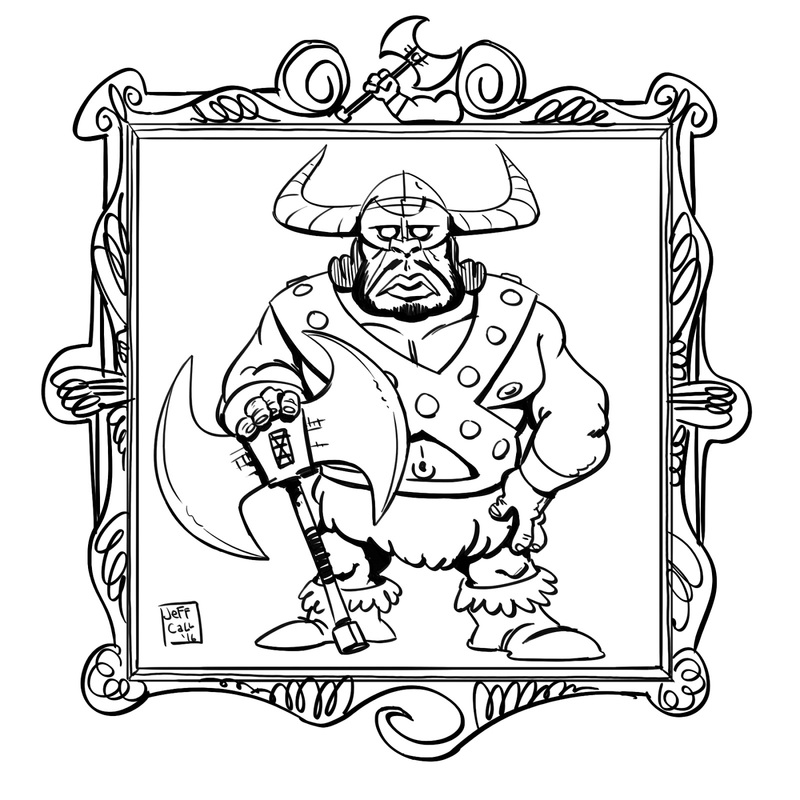 Classic gags (both cartoon and D&D), and illustrated with the proper style. Generally Trey's stuff is pretty darn good - there's plenty of samples of his writing at Sorcerer's Skull along with a bit in the Hydra sampler which is free on RPGNow I think. I picked this up. My only complaint is that $7.99 is a lot for a PDF of such a small dungeon, but the. I am by nature a cheap person. It was very well-done for what it is. I intend to import it into the ASE dungeon. I don't really worry about price point for good stuff, especially if it has a lot of art, and I know Trey and Hydra pay their artists a fair rate. Of course I also live in a town where $8 avocado toast is becoming the norm. I agree that the Prismatic Peak is a perfect ASE fit - being the tower of a mad megalomaniac wizard. ASE is still one of my favorites as well - I almost did a one page dungeon for it this year instead of the turtle boat. 7.99 is more than I wanted to charge, but the economics are different for a micro-publisher as opposed to a big guy like WOTC or even small publisher like LotFP. Assuming it gets reached at all, the "break even" point on this endeavor is months away, much less profit.